I was really inspired by my interview with Nio Kindla, a school garden manager for the nonprofit Grow Some Good, for my latest column in The Maui News. Nio does a lot more than teach kids about growing tomatoes and beans: garden lessons are used to teach subjects like economics (learning about “food miles”), Hawaiiana (planting canoe crops), and math (planting seeds on an x and y axis). In some cases, he’s teaching kids who are afraid of dirt, can’t identify different vegetables, or need a respite from a troubled home. We all want to make a difference in the world, but sometimes the problems seem too great, and our efforts seem too small. Interviewing Nio reminded me that we all have the ability to plant a seed and be part of positive change. You can read the rest of my story here. 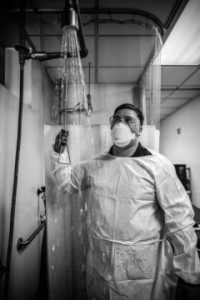 Is your hospital prepared for a disaster? Marie White paces along the concrete edge of the Maui Family YMCA pool, eyes sweeping across splashing swimmers, until they fix on a young man who’s stopped at the end of his lane and is hanging on the side of the pool. At the upcoming Special Olympics Hawaii State Summer Games, scheduled for this weekend at the University of Hawaii, Manoa, some of her athletes will be swimming relay or individual events. For a few, remembering which stroke they are supposed to be doing will be as much of an exercise as splashing their way across the pool. 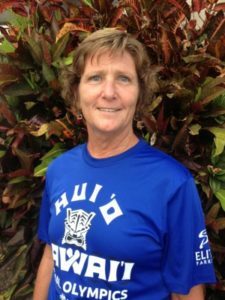 For the past 11 years, White has been a volunteer coach for the Special Olympics Maui Dolphins swim team, sharing duties with fellow coaches Josh Rowe, Caleb Rowe, and Cece Mishima. White says that when she first started coaching Special Olympics athletes, she thought it might be a challenge. But, she says, she’s found that it’s no different from coaching anyone else. Read my full story about Marie White in The Maui News here (Subscription required).